Cheow Lan Lake is a hidden gem of Khao Sok National park which attracts nature lovers and those who seeks to escape from everything modern, techy, noisy and busy and stay closer to nature. There is a wide range of bungalows and raft houses spread across the lake. The most popular are floating bungalows or floating villages. 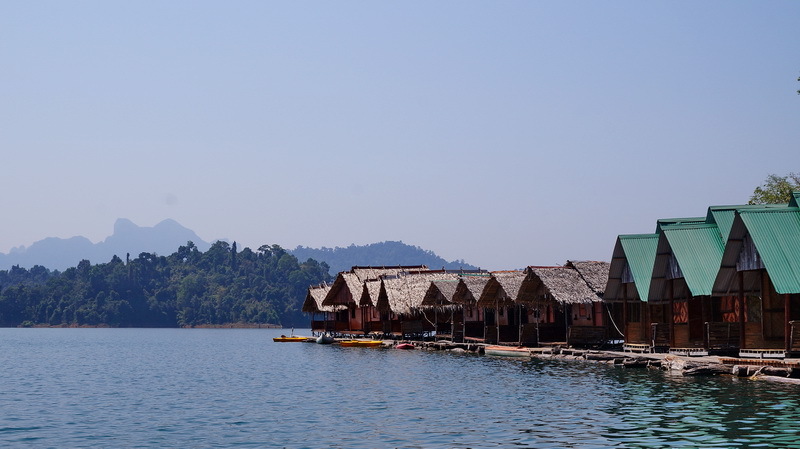 There are 16 different floating bungalows on Khao Sok Lake, each with their own unique charm. 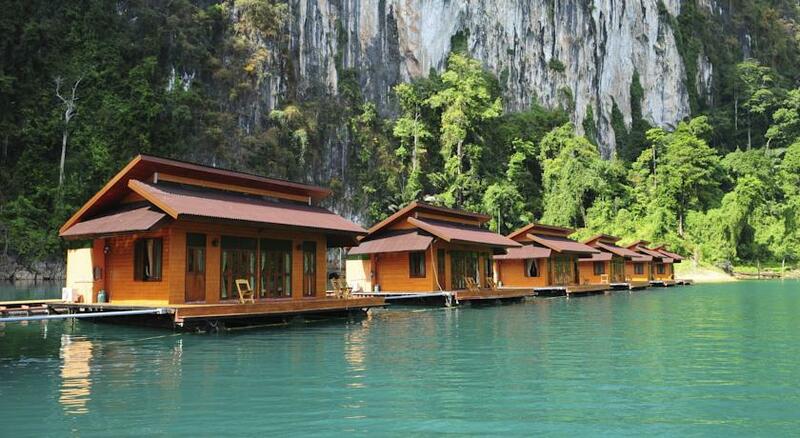 All of the floating bungalows fall into one of 3 categories Simple bamboo huts, modern houses and deluxe bungalows. Almost every floating village offers free kayaks, you can enjoy a trip through the limestone hills on your own, and fishing rod for rent. It is also highly possible that any fish on the food menu is from the lake. The lake has six main areas: Klong Mon, Klong Saeng, Klong Pey, Klong Long, Klong Yee and Klong Ka. The word Klong means river in the Thai language. The lake’s most popular destination, situated on the northeastern side, located 15 kilometres from Ratchaprapha Dam, its main attractions include the caves, the limestone hills and a viewpoint that can be accessed by 2.5-mile jungle hike. This area, probably, has the best offer of high-quality bungalows. 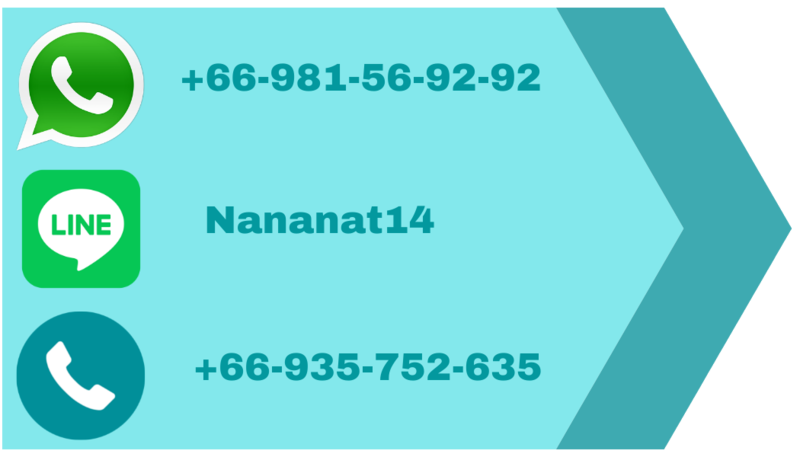 There are five raft houses to choose from: Prai Wan, Chiew Lan, Sai Chon, Plern Prai and Panvaree. But because of its popularity, sometimes it gets busy here. 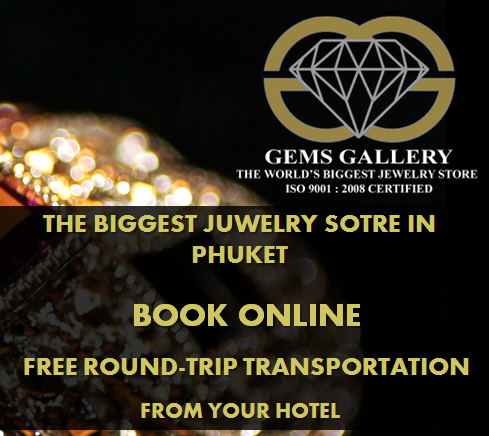 Also located 15 kilometres from Ratchaprapha Dam and positioned on the south side of the lake, this location provides a wonderful view over the limestone hills, as well as an easy access to one of the park’s best caves. There are some great hiking trails between the limestone hills, sometimes, lucky visitors can meet wild tapir walking around the area. Nang Prai and Klong Ka are the two main raft houses available on this side of the lake. Khlong Pey is roughly 20 kilometres from Ratchaprapha Dam and is situated at the lake’s south-west end. The lake’s first ranger station was built here, the Ton Toey Raft House. Visitors are able to travel a few kilometres west of the raft house and find a trail that leads to Nam Thalu Cave. The trial is about 4 kilometres long. There is also another trail of 6.5 kilometres at the south that will lead you back to the main road. Ton Toey Raft House is one of Cheow Lan’s oldest locations. Authentic, traditional thai-style bamboo bungalows boast easy access to the Nam Taloo cave hike which takes visitors through a nocturnal wonderland. The Ton Toey raft houses are used almost exclusively for group tours. To reach this part of the lake, you’ll need to head to the lake’s west side. Khlong Yee is roughly 27 kilometres from the Ratchaprapha Dam. Those who travel to this end of the lake are able to enjoy a number of activities, including wildlife viewing, guided kayak tours, hikes to the viewpoint at Krai Son and wet season waterfall hikes. There are also four different raft houses to choose from: 500 Ral, Tree Tops, Keeree Warin and the aforementioned Krai Son. Krai Son Bungalows, Located at the entrance to Klong Yee (Cheow Lan’s western-most tributary) Krai Son Raft House boasts breathtaking views and some of your best chances to see wildlife. Basic, but charming bamboo bungalows make this authentic fishing village-turned guest house the ultimate getaway spot for those looking to unplug and experience the Real Thailand. Located in the Khlong Saeng Wildlife Sanctuary, on the north-west side of the lake, the area is located 26 kilometres away from Ratchaprapha Dam. The Klong Saeng River was the wildest river in the country prior to the building of the dam and is also the lake’s largest watershed. 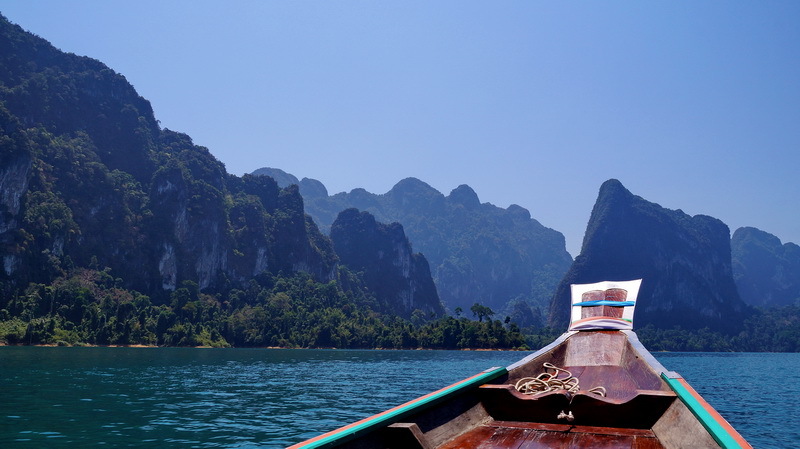 To visit the area, visitors must pay an added fee and receive special permission from the Khao Sok National Park Headquarters. The remote areas are great for watching wildlife and hiking. Park rangers provide guidance, allowing visitors to hike to waterfalls, old mines and see rare and exotic animals (such as gibbons, elephants and the elusive king cobra). Tapirs and bears also roam in this area. Klong Saeng Raft House is the only one available and the quality of the bungalows are poor. Khlong Mon 24 kilometres from the Ratchaprapha Dam and located on the north side of the lake, this area is wonderful for spotting hornbills, eagles and various forms of wildlife. With its steep valleys, high hills and exciting trails, visitors have a number of activities to choose from. While there are short trails at the tributary’s north side, there is also an exciting three-kilometer hike that leads to the KhlongSaeng tributary. The only raft house available is the Tam Gia, which is owned by the park. Located in Cheow Lan’s Klong Ka area and also known as the Diamond Cave, Pra Kay Petch Cave is almost 18 kilometres away from the main pier, in the reservoir’s south side. The impressive cave offers views of bats, as well as impressive stalagmites and stalactites. Flashlights will be needed and Klong Ka (2 kilometres) and Nang Prai (4.5 kilometres) are the nearest raft houses. Water streams through this cave’s wide opening, it is 500 metres long and it is located next to the Klong Pey tributary, by Ranger Station 4. The cave should be avoided on rainy days, as it can become dangerous and even life threatening. Six tourists and two guides lost their lives inside the cave back in 2007 and guides will not bring tourists instead when it is rainy. Tourists can only visit from December to May and must take a four-kilometer hike to reach the cave. A boat trip to Klong Pey is also available. Located on the banks of a much smaller lake that is positioned north of the Klong Long tributary, this popular cave destination of Cheow Lan offers the opportunity to search for coral fossils. Easily accessible from nearby raft houses, the cave was once used as a hide out for Communist insurgents. It is quite easy to book deluxe bungalows on websites like Booking.com or Agoda online, but so far there is no such options to reserve simple bamboo huts. However, most of the group tours offer accommodation in simple bungalows and if you are looking for this option it is advisable to take one of overnight camping tours in Cheow Lane lake. Chewo Lan Lake history and wildlife.